I’ve decided I’m going to start updating this blogernator a bit more. But as we don’t have many updates, I figured I could use it to answer some questions. So from here on out, feel free to ask away in the comments, and I’ll do my best. If you’re an aspiring content creator, I’d love for this to be a place where you can get some advice from some guys who have been there and back and have the scars and torn up contracts to prove it. 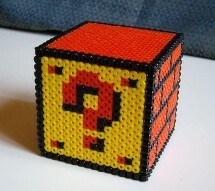 1) We still got lots of questions about Season 3 of Leet World. This kind of surprises me, because as much as I know people loved the show, it has in fact been over for 2 years. People have done some pretty cool things on the Internet since then, and I highly recommend checking some of them out. Such as this nifty Portal 2 machinima. The writing’s not fantastic, but I’m impressed with what they pulled off, technically speaking. And there’s always Red Vs Blue, which has gone into a stratosphere that no other machinima creators can hope to touch. 2) If you ask us if you can be the one to continue Leet World, my answer will always be that nobody can stop you from doing what you want, but you’re not going to get our blessing. I’d encourage you to make your own thing, in your own way. Because I’m tyrannical like that. 3) All of us have recently rewatched The Leet World for the first time in a very, very long time, and I’ve got to say… I’m still baffled we did it. There’s a lot of technical stuff going on in a lot of those scenes that a lot of effort went into, and in some ways nobody can ever truly appreciate it but us. Weird to think that we pulled it off with all of the hurtles we had to overcome. 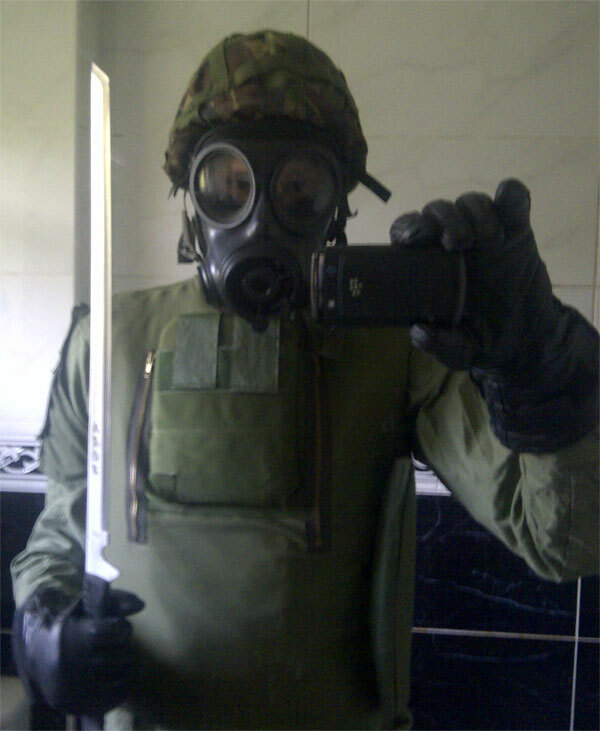 4) Not to make light of a serious situation, But I think Player is ready for the London riots. Seriously though, stay safe out there you guys. This entry was posted in Humor, Machinima News, News, TheLeetWorld and tagged leet world, leet world season 3, london riots, portal 2 machinima on August 10, 2011 by Eddy. I don’t care if you’re a Harry Potter fan or not, this trailer is awesome. Very curious about where they’re going to be splitting this movie in two. Any guesses? In other news, one of my favorite Halo 3 machinimas, Forecast: The Series has resumed with the premiere of Season 2. Check it out! This entry was posted in film, Machinima News, News and tagged forecast machinima, harry potter and the deathly hallows on June 30, 2010 by Eddy. We are ever plodding away at filming the last two episodes of the second season, and boy are we feeling it. Getting through any season of material is tough work, and by the time you’re at the end of it, it almost seems like it will never end. Lucky for us, this isn’t our first rodeo, so we are wrangling and breaking this thing like a Hungarian Halfbred in Red Dead Redemption. Maybe I should have prefaced that last sentence with “nerd alert”. Oh well, too late. Anyway, over the last week or so, I’ve seen a couple of cool things I wanted to share here. The first of these is from a machinima series we’ve linked to before, called Forecast. Their first season ranks as some of my favorite Halo work, so that’s why I’m excited about the trailer for Forecast season 2, which you should watch. In addition, BlackwatchFilms has mocked up a pretty cool thing that we’ve taken a liking to lately. He mashed up Web Zeroes clips with the intro theme of the Office, which works surprisingly well together. As a long time fan of the show, it’s awesome to see, and he did a good job with the right cilps. This entry was posted in Machinima News, News, Web News, Web Zeroes and tagged forecast, Halo Machinima, red dead redemption, the office, web zeroes on June 7, 2010 by Eddy. Sorry we haven’t been updating much. Quite frankly, there’s not much to say. We’re on a much needed break right now and we’ve sworn off everything but fun things until Season 2 of Web Zeroes starts back up. Which is next week. Craziness, really. In the meantime, I’ve been anticipating Mass Effect 2 something fierce while enjoying Borderlands, Left 4 Dead 2 and Modern Warfare 2. Seriously, Mass Effect 2 might derail Web Zeroes in at least some small way, seeing as how all of us are completely obsessed with it. If we end up delaying the show, you can blame Bioware. Speaking of Bioware, I saw this hilarious Dragon Age DLC machinima video that highlights some things people have done in the mod community. Looking forward to more of what people do with that game. Who knows, maybe I’ll try my own hand at the toolset. I’d also like to thank you guys for all of your votes for the Streamys. It really means a lot to us. Hopefully we can get our silly show nominated for something. Next week we plan to start posting some photos from what’s going on with Season 2 of Web Zeroes, and hopefully some other content. If nothing else, expect some cool changes and more regular posts to start very soon. 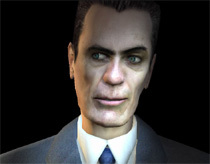 EDIT: It seems that Game Informer is reporting that Half-Life 2 Episode 3 won’t be out in 2010. Ouch. This entry was posted in Gaming News, Machinima News, News, Web Zeroes and tagged borderlands, dragon age dlc trailer, mass effect 2, web zeroes on January 20, 2010 by Eddy. The deadline for the Streamy Award nominations is rapidly approaching. Faster than the hair grows on Nick’s face, even. Terrifying, right? Well don’t let the fear paralyze you, stand up and vote for Web Zeroes. The deadline is this Friday, January 15th, and you can vote every single day until then. Every vote counts, and we seriously appreciate the support. If you’ve forgotten, I put up a voting guide for Web Zeroes so you guys can help us out. Writing has officially begun on Web Zeroes, Season 2. We had an awesome planning session recently and I must say, this season gets meta as all hell. I’m looking forward to it. Hopefully you guys are, too. In other news, we are considering picking up the podcast-ing again. You guys should submit some topics you’d like to hear us discuss or things you’re curious about in our world of content creation. Maybe we’ll talk about them. Or not. Either way, let us know! This entry was posted in Gaming News, Machinima News, News, Web Zeroes and tagged Machinima, source filmmaker, streamy awards, team fortress 2, valve, web zeroes on January 12, 2010 by Eddy.